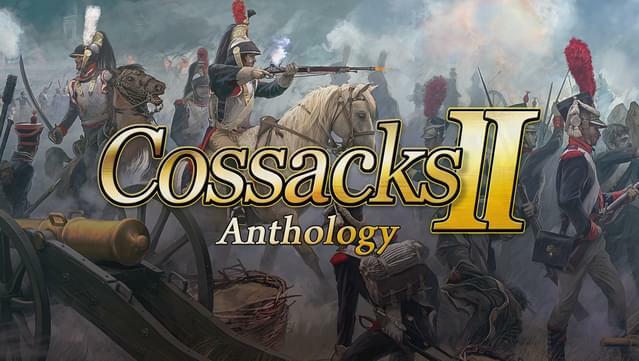 Cossacks II Anthology includes Cossacks II: Napoleonic Wars and its stand-alone expansion pack Cossacks II: Battle for Europe. 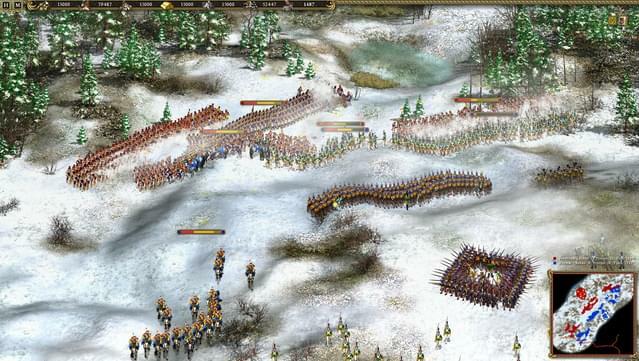 In Cossacks II: Napoleonic Wars, lead your 19th century army to glory in this much-anticipated sequel to the internationally acclaimed Cossacks: European Wars. Whether fighting as Napoleon's highly disciplined "Grande Armée", the tenacious Russians and their Cossack horseback warriors, the Austrians, Britons, Prussians, or Egyptians, the challenges will be daunting as you master weapons and tactics during a time that redefined modern warfare. 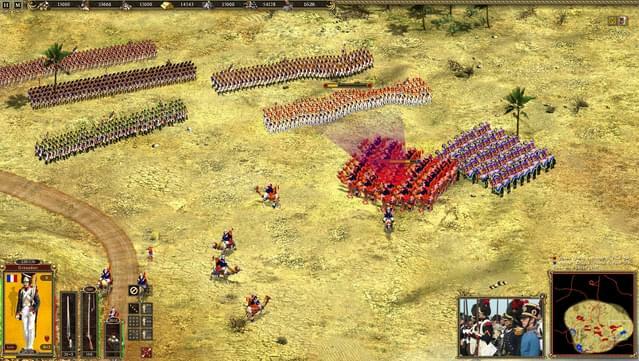 - Massive Historical Battles - Fight through battles of the 19th century, with massive armies colliding in varied types of terrain and weather. 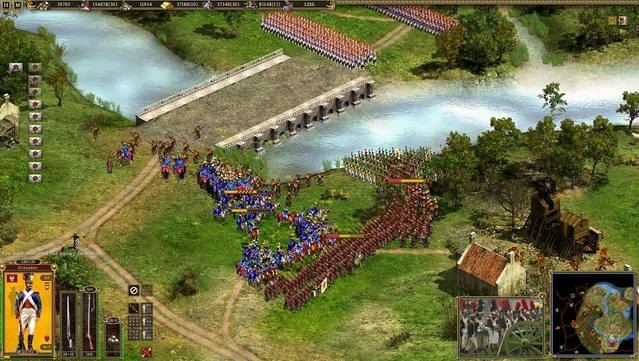 - Varied Game Play - Enjoy the strategic campaign for the dominance of Europe, follow in the footsteps of emperors and generals in history-inspired battles, or duke it out in open-ended skirmishes. - There's More To Winning Than Combat - Learn to weaken your enemies economically before the first musket volley is fired. Forge treaties, devise treacheries, or simply buy your opponents' loyalties. - Realistic Troop Morale System - Only well-led, well-provisioned troops live long enough to grow in experience and become valuable battlefield assets. Let the battle begin! 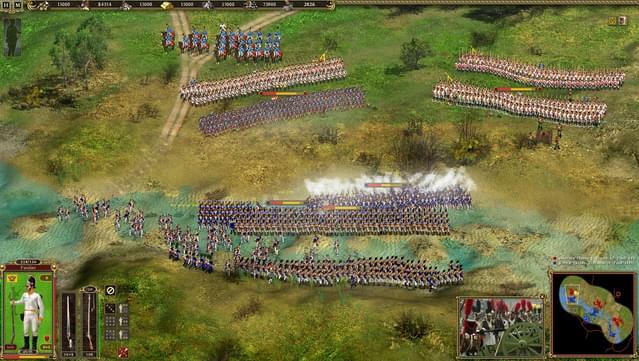 The Cossacks II: Battle for Europe add-on continues the renowned Cossacks II: Napoleonic Wars game. 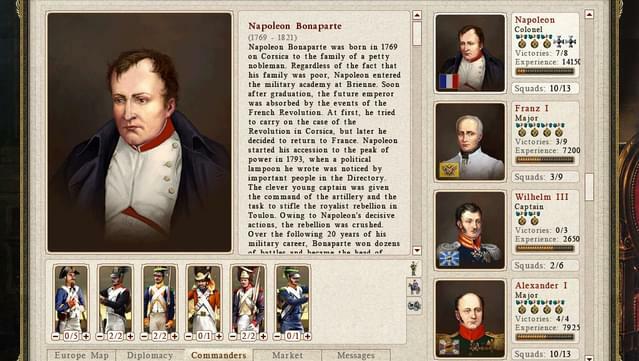 It depicts the rather short historic period of the Napoleonic wars. The Napoleon wars changed Europe forever, leading to the formation of empires and putting an end to almost one thousand years of constant strife between small states. 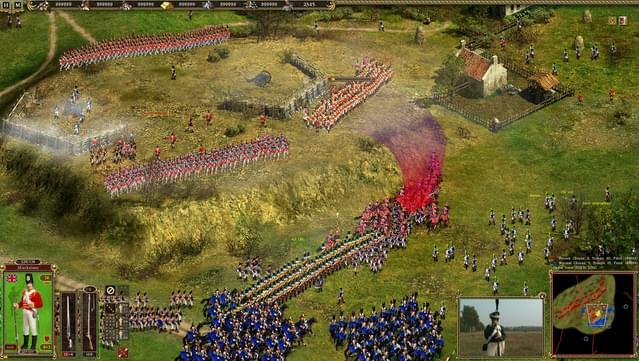 The game provides mass-scale battles between thousands-strong armies of the nations involved in conflicts during this period. The theatres of operation introduce France, Britain, Austria, Russia, Prussia, Egypt, and three nations not represented in the original game – Spain, the Grand Duchy of Warsaw (Poland), and the Confederation of the Rhine. 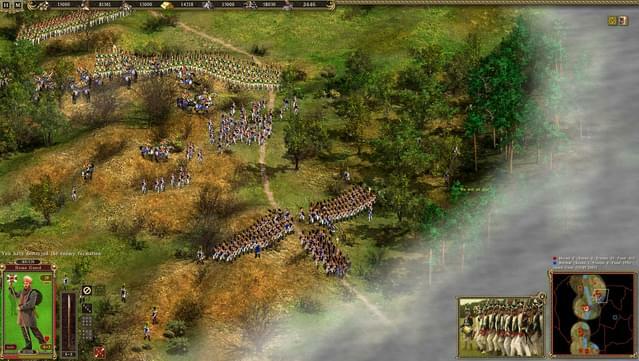 Cossacks II: Battle for Europe reconstructs in detail the soldiers' uniforms weapons and architecture of each nation. 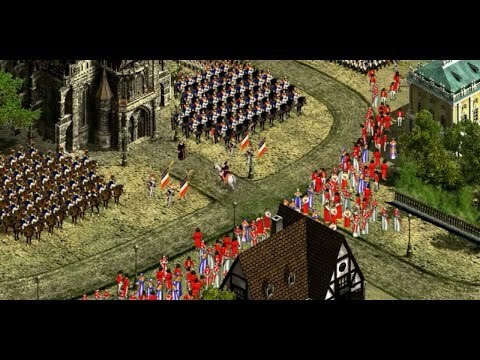 Each nation's army has its unique units and possibilities. 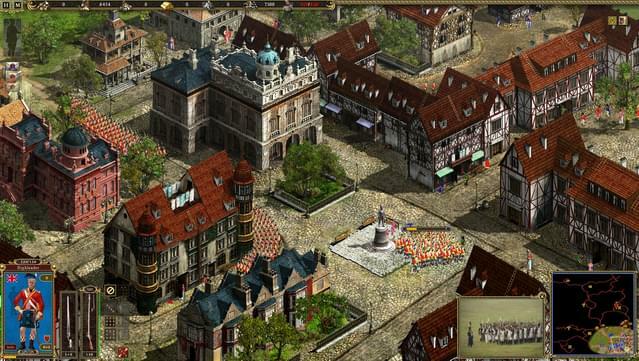 The game includes over 180 units 190 buildings and 1200 flora and fauna elements. 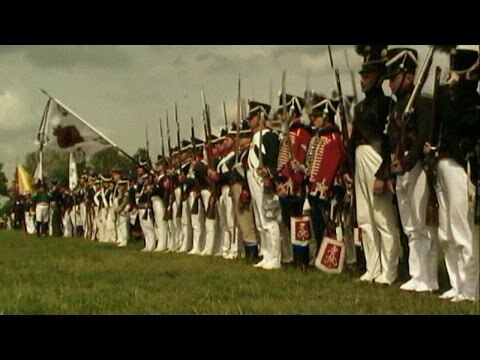 When developing the combat system the peculiarities of early 19th century warring were taken into account as was the value of formations provisions and troop morale. 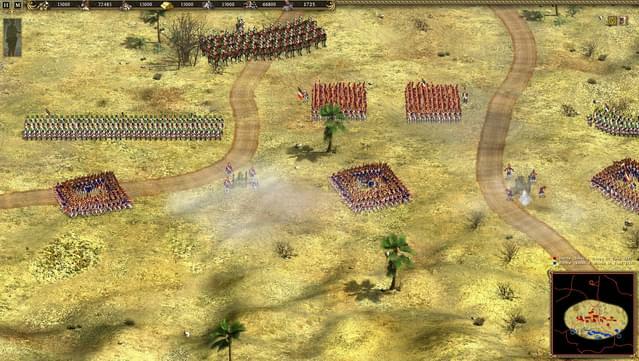 Tactical tricks utilized by military commanders of the time are fully reflected in the game. An "honest" system of bullet and cannonball ballistics based on physics is an innovative addition to the Cossacks engine. 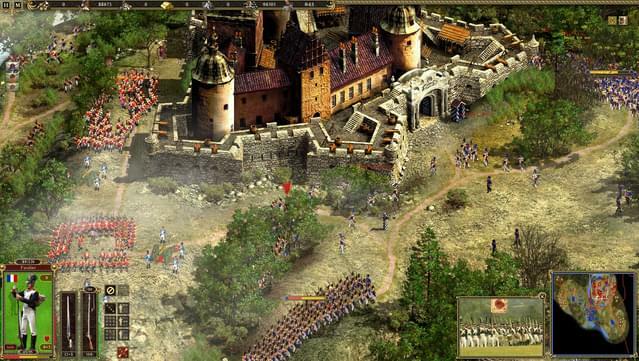 Other engine features include 3-dimensional landscaping which creates realistic-looking scenery and towns and impacts combat tactics. For example the firing range of a subdivision of soldiers or a cannon positioned at the top of a hill is greater than the firing range of a unitstationed on flat terrain. 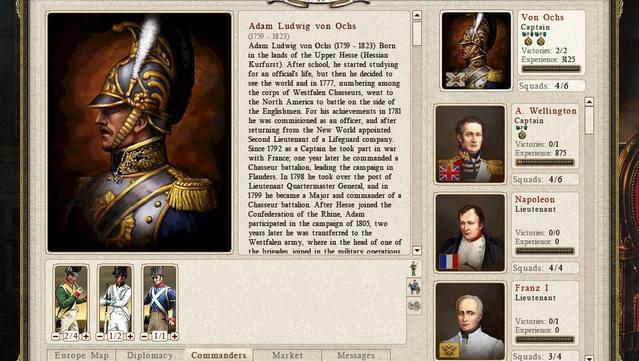 - Control the French, Russians, Austrians, Britons, Prussians, or Egyptians -- master new weapons and tactics during a time that redefined the meaning of modern warfare. 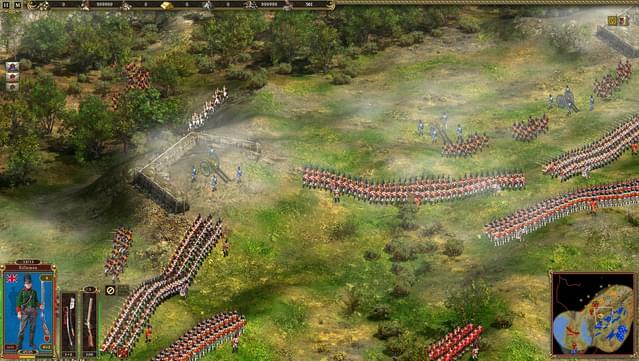 - Fight through historically inspired battles of the 19th century, with massive armies colliding in different types of terrain and weather. 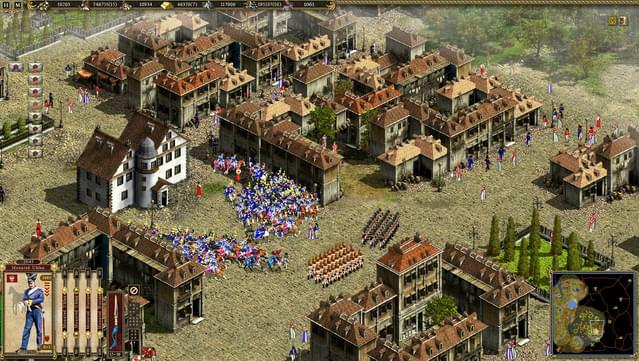 - Battles on real historical scale with tens of thausands of units on one map. 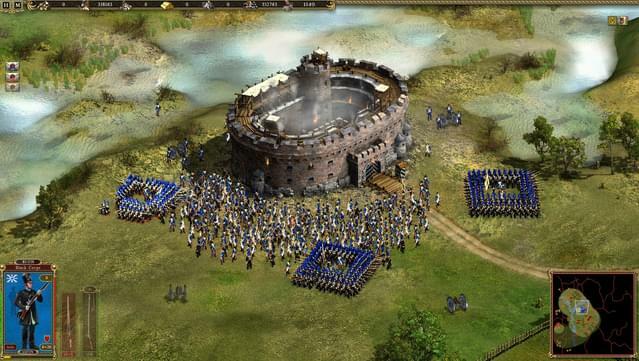 - Realistic Troop Morale System - Well-fed troops live longer and grow in experience to become valuable battlefield assets, while fierce and overwhelming opponents, or marching long distances will cause morale to drop. 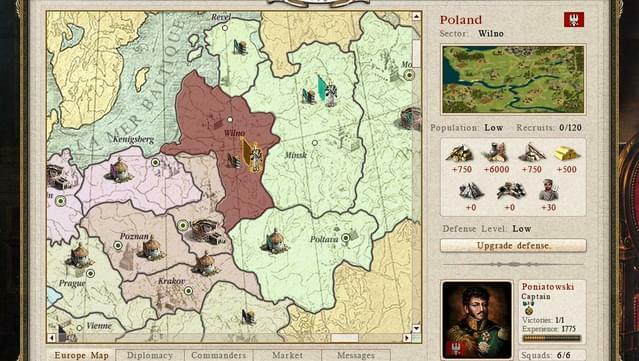 - Enhanced diplomacy tools help you create treaties that give you the advantages. Transavision Ltd. 2011 © Developed by GSC Game World. All rights reserved. Please Note: Multiplayer is available only via TCP/IP LAN. 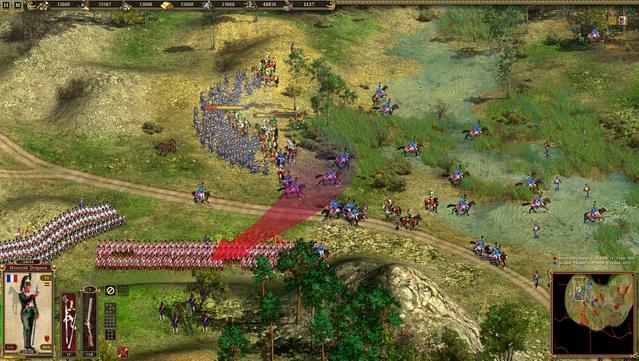 Additionally, Cossacks II Anthology requires either a Nvidia GeForce or AMD Radeon graphics device. IntelHD or multi GPU configurations are not supported with this game.